UM: What is dance to you? Danielle: It’s like my whole life! To me, dance is an expression of what’s inside you, like a passion or a feeling, that translates into movement. This is what makes dance really special to me: you don’t have to explain yourself, and you can use movement and music to express something, or what you’re feeling. UM: What first brought you to Upside Motion? 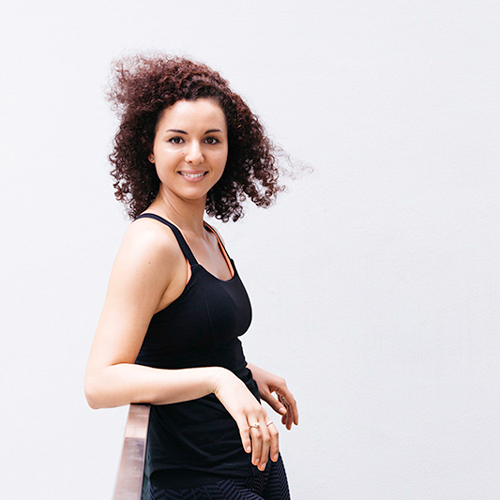 Danielle:: I used to do Xtend Barre in Sydney when I was living there for a few years, and when I moved here I missed it so much that I did a Google search and found Upside Motion. It sounded good, and has a good central location, with lots of different classes running at different times that really suits my changing schedule. I came and tried it, and loved it. Good teachers, good classes. UM: What’s your favourite class at Upside Motion? 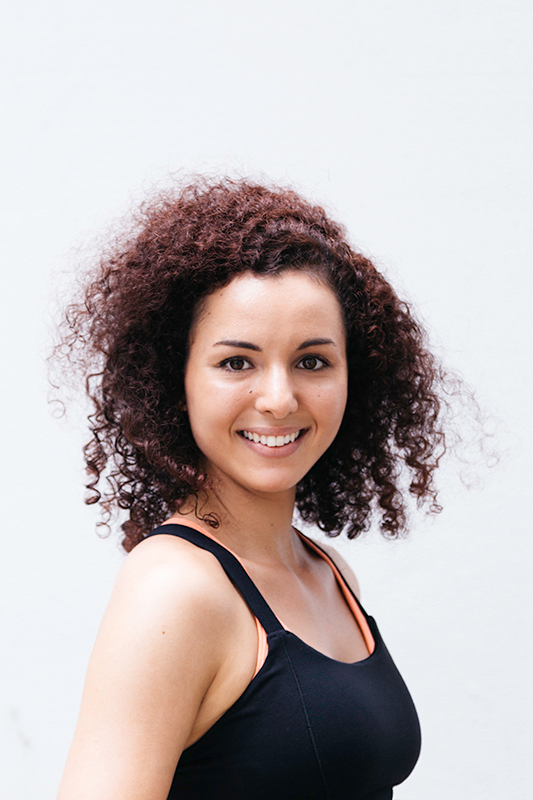 Danielle:: I did a couple of Pilates classes, but I love Xtend Barre the most because it’s got that nice mix of dance, as well as exercise and strengthening. It’s more fast-paced than Pilates, and I like that Xtend Barre keeps you on your toes and working hard. And you feel, at the end of the class, that sense of accomplishment, knowing you’ve done a great job working out. UM: Do you find that Xtend Barre is very similar to dance? Danielle:: Yes, definitely. The basis of Xtend Barre is ballet so all the different positions and movements like first and second position, turnouts, leg lifts… you would do the same kind of thing in ballet. It helps to be a ballet dancer and be able to understand the terminology and all the different positions that are in an Xtend Barre class, but it also works the opposite way. Xtend Barre can really help with a dancer’s strength. The pace is faster than ballet class, which is nice. When you work the core, legs and arms in an Xtend Barre class, it definitely helps when you need to do ballet or any other kind of dance. UM: How do you stay active? Danielle: I like to do lots of different things. I enjoy running, and I also mix it with bodyweight strength training. Just different park exercises really – pushups, situps, lunges, all that kind of stuff. I run 2-3 times a week, and then do Xtend Barre a couple of times a week, depending on my schedule. Being active and fit is a really important part of my life, because I wouldn’t have a job otherwise! 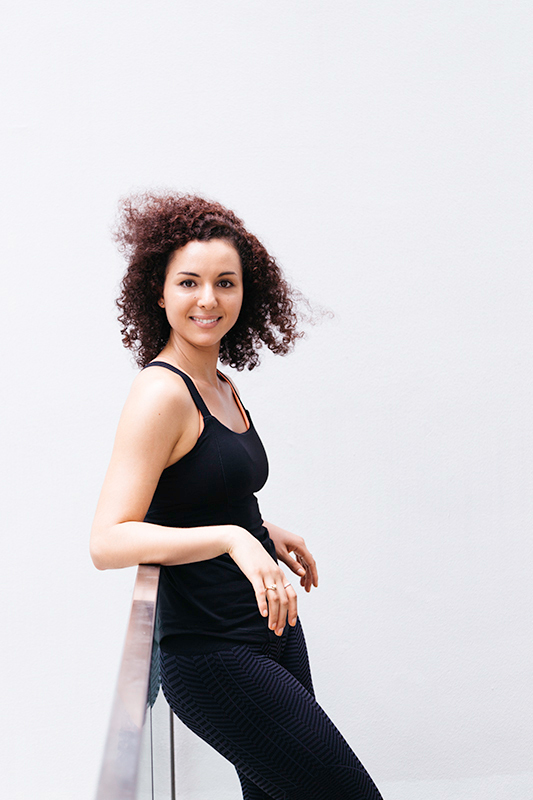 Danielle: I enjoy the feeling after working out. I’ve kind of always loved working out. If I want to go for a run I’ll get it done early in the morning so I feel really accomplished the rest of the day, like I’ve done all the exercising I need. It clears your mind, it gives you more energy for the rest of the day, and it makes you feel good. When you haven’t stretched in awhile, I always get really annoyed with myself, especially when my fitness level drops and something gets harder to do. I’ll feel like if I just kept at it consistently, I’d be ok right now. Danielle: Yes! And I say it not just for me as a dance teacher, but for everyone in general. It helps balance out your life, in terms of stress from work and home life and different relationships and everything. It’s a good way to escape and focus on something for yourself, which is something I feel is important. Because if you’re not 100%, you know – on to it – then you can’t help anyone else. Danielle: Miranda Kerr! She’s just amazing and such an inspiring person to me. The way she lives her life is so holistic and simple in a way. I love the way she always seems to find time, even though she’s incredibly busy, to keep fit and healthy and while taking care of herself and her family. That really resonates with me and what my outlook on life is as well.